“It is an amazing thing to be able to change the life of another person just by being a positive and considerate human being.” This quote from Paula Wise Baker in her story “Pink and Polka Dotted”, about how an old coat could make a young girl so happy, is at the heart of Seeking Human Kindness. 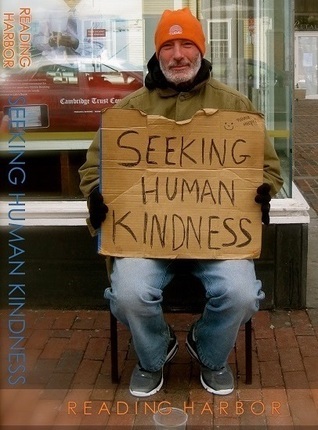 The book is an inspiring collection of “pay it forward” stories on how random acts of kindness can change the life not only of the recipient but the person doing the kindness, as well. There is a nice blend of stories, if perhaps a few too many. About three-quarters of the way in, the theme becomes a bit repetitive. It isn’t that the stories aren’t all good – they are. But there are just so many of them. The editor/publisher might need to consider eliminating two or three, or as a better alternative, use generic or stock photos or graphics to break the steady flow of text. It wouldn’t be necessary to get photos of the authors. Instead, it would be perhaps more entertaining to show shots of food (which plays a key role) or clothing, or even animals, just occasionally sprinkled throughout. It is understandable that an author, per se, can’t be listed for the book, but it might be a personal touch to have the editor/publisher/founder (whatever the correct title is) Grace Chen listed on the title. She does at least write some opening comments which is a good idea, but her name on the title page would be more conventional, it would seem. Another slightly disturbing element is the choice of “A Hero’s Heart” as the first story. It’s an excellent story but it’s a bit dark, and animal lovers might object to the death of a dog setting the pace for the book. Other stories still maintain the book’s intent without death or destruction, and “A Hero’s Heart” could be moved down slightly. “A Priceless Burger” is a touching story about what a simple gift of food means.”Broken Leg vs. the Curb” is simplistic yet very touching, about a wheelchair-bound person who receives help from Good Samaritans, in New York City of all places. A favorite is “Chasing Down Kindness”, which relates to the Sandy Hook Elementary tragedy yet also brings in surprising bits of humor. “The Gift” is a poignant example of a woman and a stranger both shopping for a shirt. Simple concept, touching results. Animals and food seem to play a key role, as do homeless people. These subjects all tug at the heartstrings. Even though the stories are all listed as being true, at times some of them almost seem too good to be true. The more successful ones are the most believable. A major flaw is the use of language and grammar. It’s commendable that stories have been included from around the globe – the United States, India, France, the U.K., the Philippines – but this opens the door to cultural differences in language and translation. Without taking away the book’s charm, it seems there should be a consistent proofreading and editing job done to tighten spelling, punctuation and grammar issues. The other possibility is to go to the other extreme and be blatantly ethnic, but it doesn’t seem that is the intention of the book and for an American audience, proper and basic English is best. With editing and proofreading this book should make a pleasant addition to the gift book or inspirational market.